A public hearing has been scheduled to discuss the ongoing plans to ban plastic bags in Tanzania. The Minister responsible for the Environment, January Makamba, says he is holding a public hearing regarding the intention to ban plastic bags on Saturday, July 22, at 10:00 at Karimjee Hall on Sokoine Drive. Banning plastic bags impacts many people, Makamba tweeted. The ban on plastic bags was originally set for January 2017, then pushed to the end of June 2017. Whenever the ban does come into effect, it is expected there will be an amnesty period after which the National Environment Management Council (NEMC) will conduct spot checks with on-the-spot fines for businesses not adhering to the ban. Some supermarkets have already been offering alternatives to plastic bags. Zanzibar adopted the use of paper bags in 2005, and Rwanda banned the use of plastic bags in 2008. 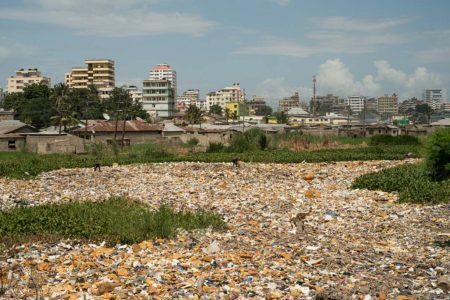 UN Habitat ranks Dar as ‘well below average’ in sanitation and waste compared to other African cities.